Markus Mobile Tax Accounting Services provides tax return services for individuals, sole traders, partnership, companies and trust. By using our services clients mimimise their income tax liabilities as we take care of your tax compliance. We cover Point Cook, Werribee, Hoppers Crossing, Altona, Tarneit, Williamstown, Williams Landing and all other northern and western suburbs of Melbourne. This is the preferred choice for most clients and we will come to your home of business premises to discuss your tax affairs. After we have met with you, your return will be emailed to you and lodged and all your tax compliances is taken care off. All you really need to do is schedule an appointment and have all your documents and questions ready so we can discuss everything once we will visit you. Why not contact us today to schedule an appointment to discuss your individual tax return. If you are too busy to meet with us you can email us instead. Simply scan your PAYG Payment Summaries and other related documentation and email them to us. We will contact you with any questions and complete your tax return. Please note, we don’t recommend this option for new clients who might have some unusual issues to discuss. If you have any queries in relation to our service options contact us today. 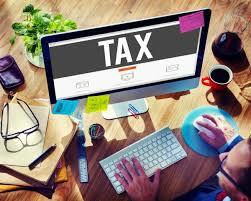 Very professional tax agent, he knows the laws very well and can provide useful advices. Very happy with Markus! He provides a professional service and is a pleasure to deal with. Highly recommended! Markus Mobile came to my house which was highly convenient. The accountant was prompt and efficient and answered all my questions. The tax return documents were prepared and sent to me the same day. Very pleased and impressed with the professionalism and efficiency. Extremely happy with the services. We have started using Markus 3 years ago and have not run into any issues at all. From day one Markus has taken time to explain everything in simple as posible terms. We strongly recommend his services to anyone. Markus Mobile Tax Accounting Services takes care of all your taxation, accounting and business services needs. Our mobile accounting and taxation services enable you to focus on other aspects of your life or business while we look after your accounting and taxation needs. Markus Mobile Tax Accounting Services a leading service provider in POINT COOK and surrounding suburbs providing mobile tax accounting services.